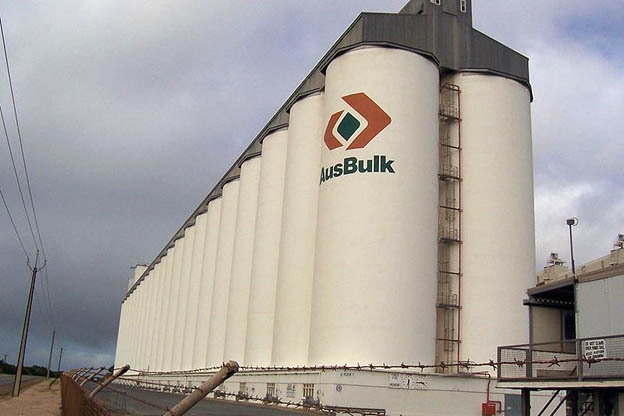 Silos, but not the type we mean. Image source: Wikipedia. If two years constitutes a tradition, then I guess EcoOptimism’s Word of the Year is now a tradition. Two years ago, I chose resilience. At that point, pre-Sandy, its meaning in an environmental context was not well known. Now, it seems, it’s used everywhere. 2013’s word was transparency. Again, its general usage was understood, but I was referring to the availability of environmental and health information of chemicals, products and materials. 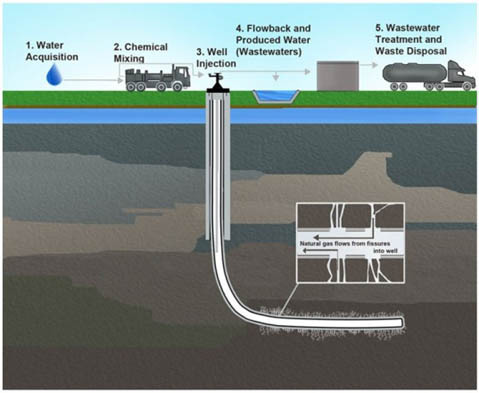 In fact, the previous post to this one talked about, among other things, the issue that the impacts of many chemicals and process – the post was about fracking – are still not known and, if they become known, the information is not made transparent enough. For 2014, EcoOptimism’s Word of the Year is silos. Once again, it’s a word that is understood in its traditional meaning, i.e. a container, usually but not always cylindrical and tall, to hold grain or other materials. It can also refer to an underground container that holds missiles before they are launched. What we are interested in here is its newer usage as a container for information or groups of people. In our highly technical world, knowledge tends to be segregated into topics and people tend to be separated into professions. That’s a problem for a topic like sustainability which often requires multidisciplinary approaches to complex (or “wicked”) problems. Ecological problems are nothing if not complex. Think about the extraordinary computing ability it takes to create climate forecasts. But behind the unfathomable amount of bytes of information required is human-generated information, taken from many fields. The fields of course include climatology, but also delve into chemistry, biology, physics and even “soft” sciences like sociology and population growth. That means scientists, engineers and others have to emerge out of their professional silos to exchange information and, sometimes, to work together. The same is true for that 2012 word, resilience. It involves (again) climatology but also meteorology, geography, civil engineering, architecture, urban planning, emergency management, etc. The information and the people have to be networked in order to come up with plans and solutions that might actually work. What’s instead required comes in the form of an unwieldy word: desiloization. (It’s probably not even a word; spellcheck hasn’t the faintest what to do with it.) More simply, we refer to breaking down silos. It’s the way we get to EcoOptimism-style win-win-win approaches. So what we actually need is the opposite of our Word of the Year. But there’s no way I was going to choose desiloization. This entry was posted in Messaging, Policy and tagged silos, Superstorm Sandy, wicked problems, win-win-win on December 29, 2014 by David Bergman. I’ve written about the Precautionary Principle before (here and here), but because it’s a rare occasion when it gets applied in this country, it’s worth noting when it does find its way into policy. The Precautionary Principle basically says that things should be proven safe before they are allowed. That’s generally the rule in Europe, but here in the U.S., chemicals and products and such are given the benefit of the doubt in an innocent-until-proven-guilty approach. Since there isn’t money to test every chemical, and there’s no incentive for companies to do so themselves, the safety of the vast majority of them is unknown. So in the case of fracking, where there’s significant concern and doubt about its safety, the onus has been on the government to prove its dangers. This bears repeating because it is a significant policy approach: The potential risks are too great. Zucker went on to say that there was insufficient scientific evidence to affirm the long-term safety of fracking. That’s the Precautionary Principle at work; public safety first, business interests second. A war on business, I’m sure the political right will claim. Anti-jobs and all that. But what use is a job when you or your family are made sick? The New York Times article said Cuomo was apparently convinced when he asked Drucker if he would want to live in a community that allowed fracking and his answer was no. Some may say it was a financial decision to save a $2.5 billion dollar industry but, according to the Pew Charitable Trusts, the energy reserves there vastly outweigh the fish, totaling $7.7 billion. For a change, the oil industry lobbying interests didn’t prevail. Let’s hope the Precautionary Principle is applied to mining there as well. And, oh yeah, let’s also apply it to the Keystone XL pipeline. 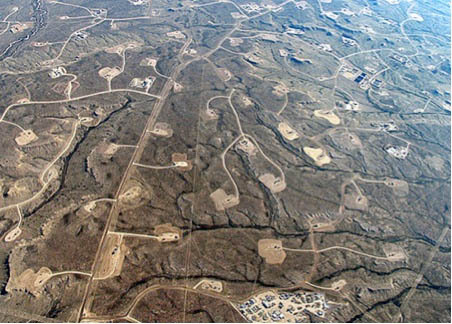 This entry was posted in Economics, Energy, Policy and tagged fossil fuels, fracking, free market, Keystone XL pipeline, precautionary principle on December 18, 2014 by David Bergman.